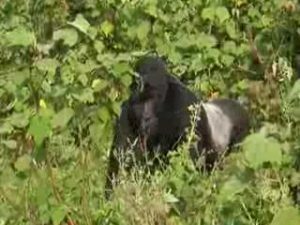 Uganda is one of the most beautiful countries in Africa, with fantastic natural scenery, Half of the world’s remaining mountain gorilla population is in Uganda. It also offers world-class white water rafting at the source of Nile and some of the region’s more peaceful national parks, where wildlife viewing doesn’t involve long waits in line behind a dozen or more vehicles. The natural attraction are among the best in the region, and as tourism is still being re-established, there simply aren’t the crowds found elsewhere. Take your pick from the highest mountain range in Africa, the Rwenzori Mountains;one of the most powerful waterfalls in the world, Murchison Falls; or perhaps the highest primate density in the world, in kabale forest National park – Uganda has all this and more. Consistently ranked among Africa’s fastest growing economies since President Museveni came to power in 1986, Uganda has simultaneously experienced a steady expansion of road, communications and other vital infrastructures, and a corresponding increase in international tourist arrivals and upmarket facilities. Entebbe’s modern international airport, set on the Lake Victoria shore 40km from Kampala, is serviced by several prominent international airlines, ensuring easy access from the USA, Europe and elsewhere in Africa. Charter flights can be arranged between domestic tourist attractions. There are also a number of accommodation facilities in the Uganda, from luxury to budget, hotels, guest houses, apartments, and camps, can be found in different towns around the country. Uganda may not boast of huge and well-developed national parks like neighbouring Kenya and Tanzania, but after years of misrule, there is a turnaround in numbers of animals especially elephants and antelopes, which were butchered by, undisciplined soldiers and poachers during the reign of Idi Amin. Uganda’s star attraction is the endangered mountain gorilla, the bulkiest of living primates, and among the most peaceable. Staring into the pensive brown eyes of these gentle giants, who share 95% of their genes with humans, is as humbling as it is thrilling; no less so when one realizes that fewer than 700 individuals survive, divided between Bwindi National Park and the Virunga Mountains. Today in Uganda there are 17 tribes belonging to the Bantu and Nilotic groups. Situated at the geographical heart of the African continent, Uganda has long been a cultural melting pot, as evidenced by the 30-plus different indigenous languages belonging to five distinct linguistic groups, and an equally diverse cultural mosaic of music, art and handicrafts. Uganda is a country of many cultural contrasts. English is the official language. Many people outside the office also commonly speak it. Luganda is easily the more spoken language in most towns where business is transacted.